When I was a little one of my favorite things to go to Grandma’s for wasn’t the cookies or sweets but a simple salad she made out of peas and cheddar cheese. This salad actually got my husband to like peas. After going vegan I really missed it and worked really hard to try to make a version that was satisfying. The little vegan will try anything that has hearts of palm in it and that is how they eventually got added. This is her favorite salad and if I let her she would probably eat the entire bowl. Mix ingredients from mayo to Braggs in a serving bowl until smooth. 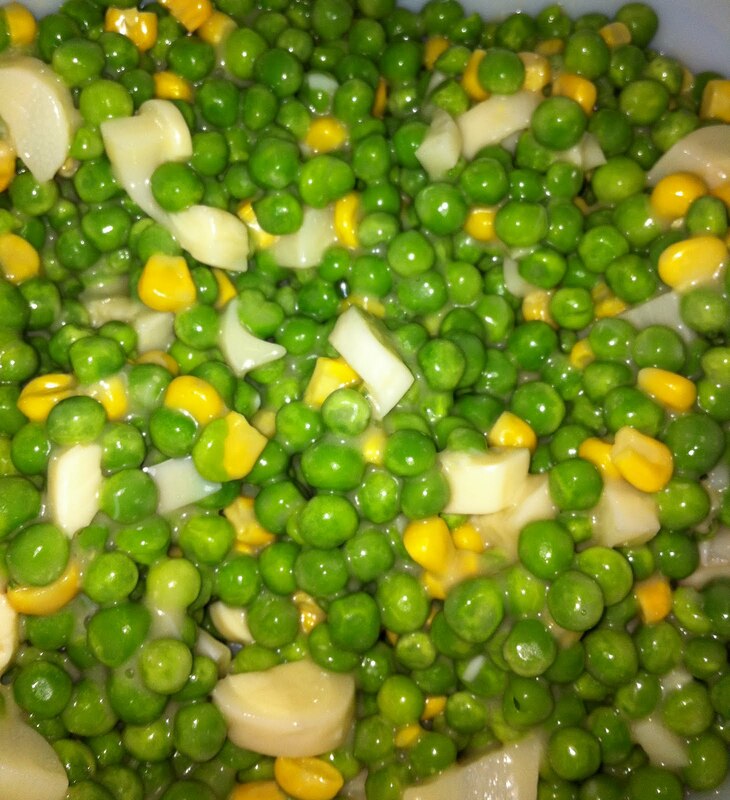 Gently stir in peas, corn and hearts of palm until well blended. Chill for at least a half hour. Serve and enjoy. Gallery | This entry was posted in Anzia's picks-a young vegans perspective, Salad. Bookmark the permalink. >Thanks:) It's an easy one!